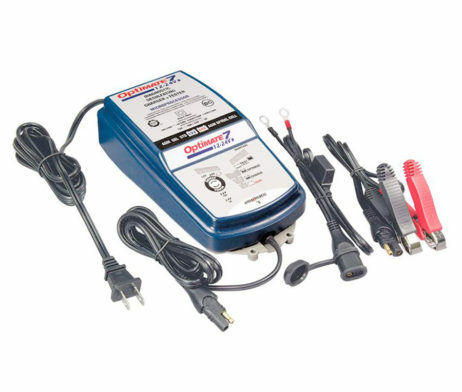 The world’s most advanced 12V 10 Amp & 24V 5 Amp battery charger! 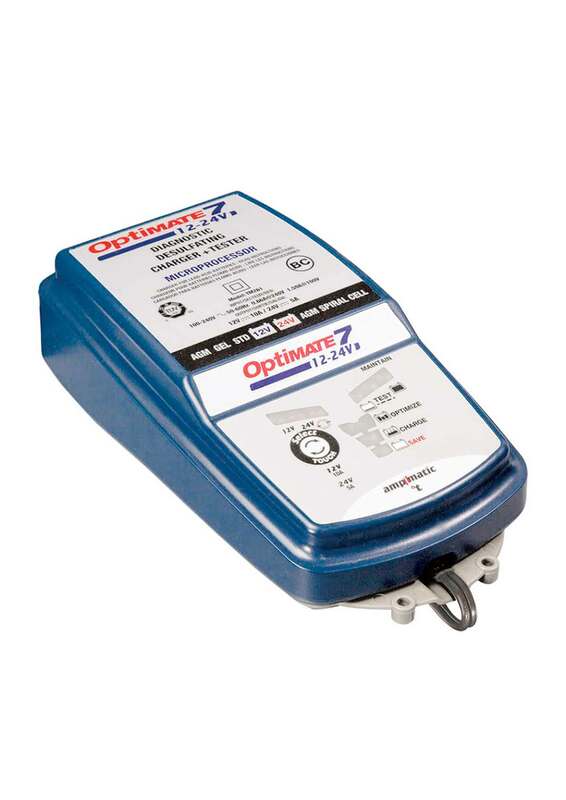 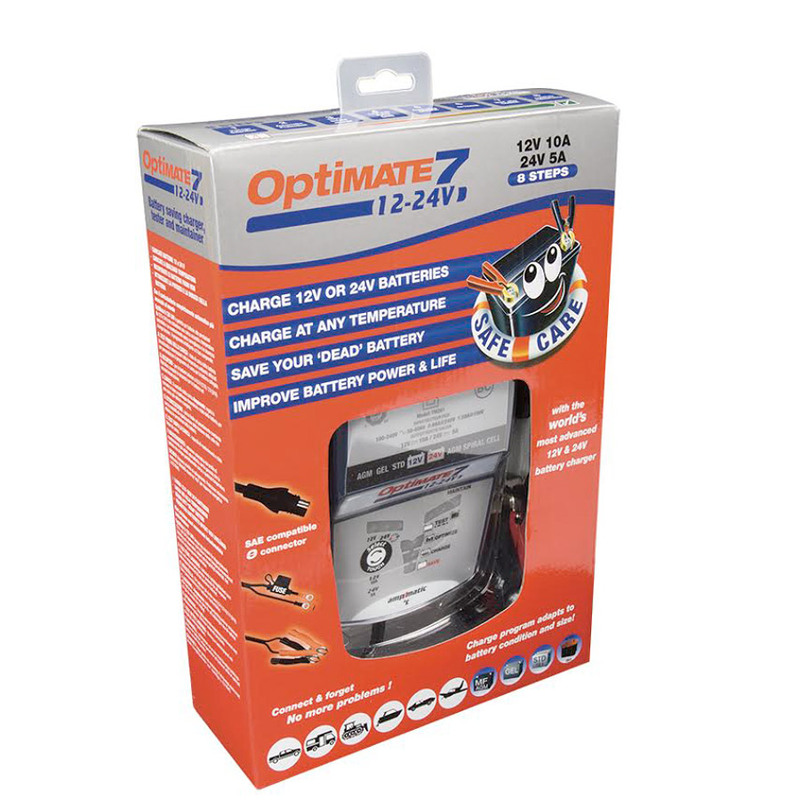 OptiMate 7 12V-24V is perfect for high performance 12V and 24V starter and deep cycle batteries that demand accurate temperature controlled charging and unsupervised safe long term maintenance. 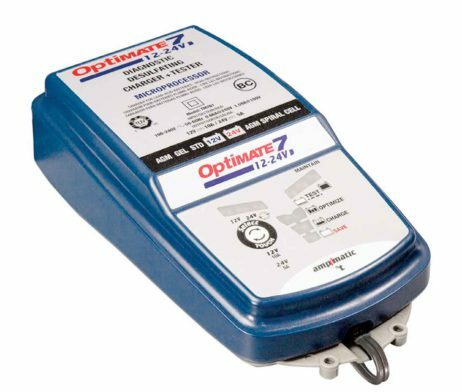 Protection against incorrect voltage selection : With 24V selected and a 12V battery is connected OptiMate 7 12V-24V will immediately warn that a low voltage is sensed and then not proceed to charging. 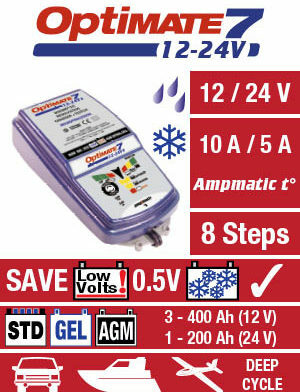 USER must confirm the nominal voltage of the connected battery is 24V before SAVE mode activates. USE :Indoor / Outdoor (lowest temperature: -40°F / -40°C). 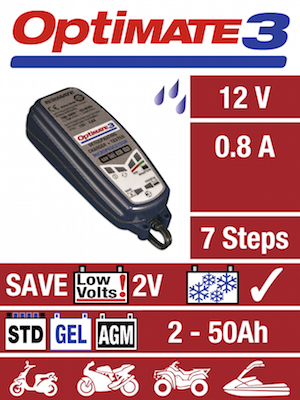 SAVE :Low Volt Start of 0.5V (12V) + 1-step desulphation recovery. 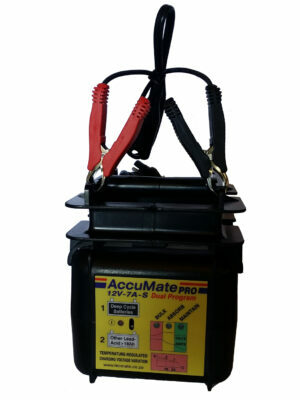 IDEAL FOR :STD, AGM & GEL 12V (batteries from 3 – 400Ah) | 24V (batteries from 1- 200Ah). 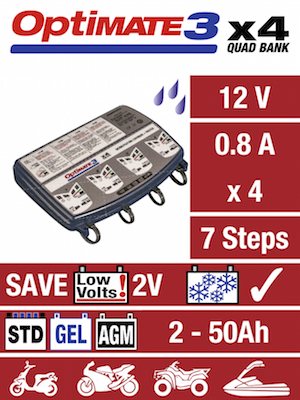 INPUT :Global (100-240V 50-60Hz), high efficiency (CEC listed), fully sealed. 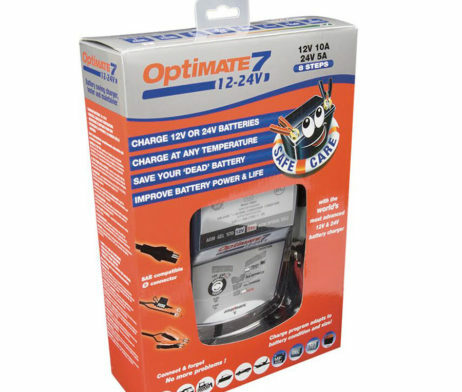 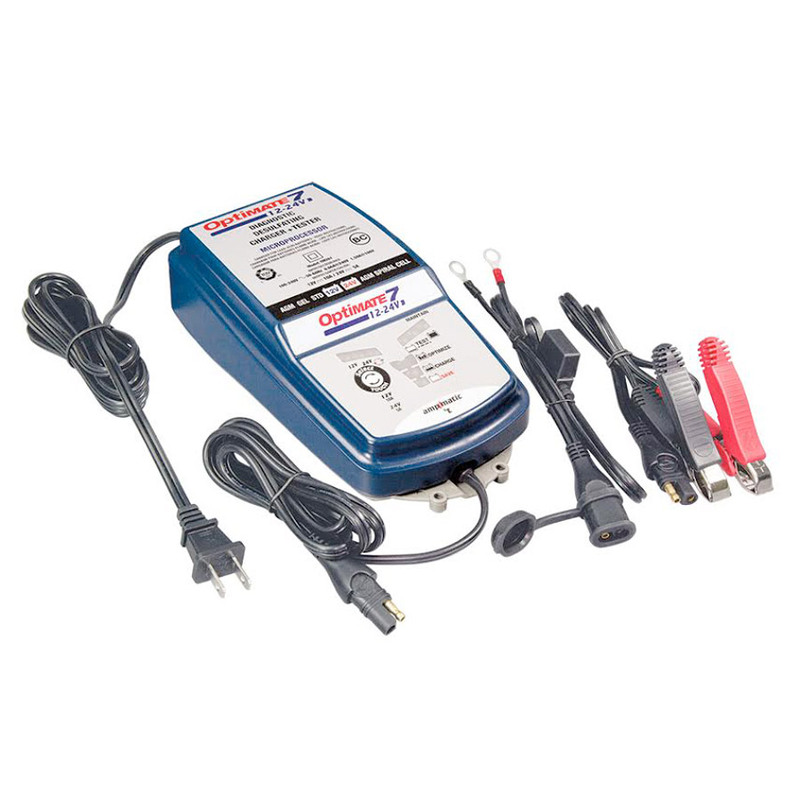 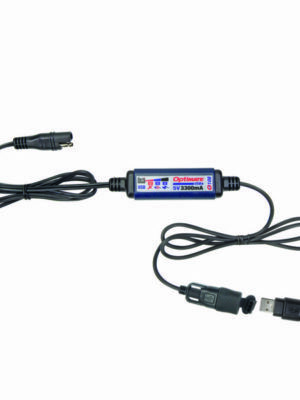 SKU: TM-260 Category: Battery Chargers Brands: Optimate.